Excuse my French, but ...Quebec's major power consumers aren't just taking the renewables crap being shoveled at them - and the rest of the province's ratepayers. Industrial electricity consumers have decided to challenge the decision of Marois government to continue to purchase wind energy, although Quebec does not need this energy. A motion to dismiss was filed yesterday, the Régie de l'énergie by the Quebec Association of Industrial electricity consumers (AQCIE) to counter the most recent tender for 450 megawatts of wind energy. This tender, which aims to support the wind industry in the East-du-Québec must be declared "invalid, unenforceable and ineffective," the petition says, because he did not seek to satisfy electricity needs. "...We are not against economic development. If the government wants to help a sector, he does, but it does not make paying the bill by electricity consumers. Candu Energy Inc. says it has a letter of intent to develop two new nuclear plants in Romania on the site of two Candu reactors built in 1996 and 2007. "Romania currently has two Candu 6 reactors, which provide about 20 per cent of electricity for the country of 20 million people. If the message you take from this story is that Kenya missed the grid parity memo, you probably don't have a population where 4 out of 5 people live without grid power. Kenya suspended issuing new licenses for wind farms and solar plants until 2017 as it prioritizes development of cheaper fuel-based sources to help cut electricity prices, Energy Secretary Davis Chirchir said. The East African government plans to add at least 5,500 megawatts of power supply in the 40 months from September, more than quadrupling output from current installed capacity of about 1,700 megawatts mainly from rain-fed hydropower plants. Overall, according to the new study, total methane emissions in the United States appear to be 1.5 times and 1.7 times higher than the amounts previously estimated by the U.S. Environmental Protection Agency (E.P.A.) and the international Emissions Database for Global Atmospheric Research (EDGAR) [link], respectively. It seems the desire for methane to be a clean replacement for coal keeps running up against the emissions issue. A comprehensive new study of atmospheric levels of methane, an important greenhouse gas released by leaky oil and gas operations and livestock, has found much higher levels over the United States than those estimated by the Environmental Protection Agency and an international greenhouse gas monitoring effort. The paper, “Anthropogenic emissions of methane in the United States,” is being published in the Proceedings of the National Academy of Sciences. The study, combining ground and aerial sampling of the gas with computer modeling, is the most comprehensive “top down” look so far at methane levels over the United States, providing a vital check on “bottom up” approaches, which have tallied estimates for releases from a host of sources — ranging from livestock operations to gas wells. My previous post noted some of the grief Germany's electricity sector activities have caused its neighbours; the Financial Times now shows some of the concerns it's brought Germans. Before Germany’s big shift to renewable energy, electricity for industry was produced where it was needed; near the manufacturing heartlands of the Ruhr and greater Stuttgart. But now that nuclear reactors are being switched off, and renewables are taking priority over energy generated from fossil fuels, the country’s energy is being generated a long way from its heavy industry. From wind farms mainly in the north, more than 4,500km of additional extra-high-voltage lines will snake across the country by the end of this decade, to supply the areas of highest demand. Germany’s lengthy planning process and lack of co-ordination between the federal states has snarled up the line building programme. Of the 1,900km designated by law as priority projects, less than 300km is built. Lex Hartman, a member of the management board at Tennet, Germany’s biggest high-voltage grid operator, says that in some cases it has taken up to a decade to secure a licence to build power lines. oops ... first posted this as fresh news, but it's 2 years old. The move to install equipment knows as phase-shifters on transmission links between Poland and Germany is designed to give the Polish grid operator the power to block excess renewables output from Germany entering the Polish grid. As in Germany, a large amount of renewable energy causes wholesale prices to come down, and profits to fall. There are increasingly frequent references to the Czech Republic and Poland blocking Germany's "renewables." The following article does a fairly good job of explaining the issue, which is low-quality, intermittent, power from Germany's north destined for consumption in Germany's south, and Austria, finding a route through Poland and the Czech Republic. The Czech Republic is facing the growing prospect of being forced to block disruptive and volatile flows of German wind-produced electricity through its power network in what would be a powerful signal to Berlin to sort out its internal energy market. Large amounts of wind-produced electricity from northern Germany are now being shipped through the Czech Republic to German customers in the south of the country — and onwards towards Austria — because of the insufficiencies of the north-south German electricity grid. The ČEPS manager was blunt in his message that Germany should get to grips with its power market problems and, if necessary, curb the output of wind power plants in the north of the country or limit the distance that electricity is being shipped across the country and into neighboring Austria. "With environmental levies for renewables subsidies rising in line with the ongoing build-out, consumers will be hit with both higher prices and a decline in reliability." There has been talk in the United States of the utility “death spiral,” a process in which environmentally-targeted subsidy support enables consumers to disengage, partially if not wholly, from the electricity grid through demand-side management and distributed generation. Utilities, required to invest to incorporate renewables into a centralized system, are left in an unsustainable situation of higher embedded costs and fewer customers. So long as the federal government has no viable alternative to Yucca Mountain as a repository for nuclear waste, nuclear power ratepayers should not be charged an annual fee to cover the cost of that disposal, the U.S. Court of Appeals for the D.C. Circuit ruled on Tuesday. The Nuclear Regulatory Commission (NRC) on Monday directed agency staff to complete the long-delayed safety evaluation report (SER) for the Department of Energy’s (DOE’s) license application to build the Yucca Mountain permanent waste repository. 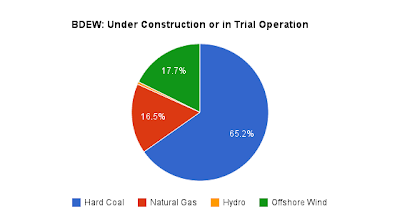 I blogged on wind records Wednesday, and by the end of the day the hourly output record I noted, from the industrial wind turbines (IWT's) connected to the IESO grid, was broken 5 times. Yesterday, these IWT's produced ~37,685MWh - a new daily record, despite a likelihood production was curtailed at times. The average IWT production for the first 14 days of the month is ~1,015 MW. In the peak demand month of July, the average was 312MW. The latest Annual Report from the German Council of Economic Experts, a.k.a. the 'five wise men' of the German economy,' calls for "a freeze of the Renewable Energy Sources Act (EEG) while developing a conclusive policy." “Apart from the necessary grid expansion and restructuring, the main national (energy) issues are reducing the costs of renewable growth and creating an electricity market framework so that conventional (back-up) capacities can be maintained and extended and renewable growth takes place without state subsidies. The climate policy aims of the energy policy shift are unlikely to be achieved at the national level, anyway. Solely for grid expansion and restructuring important measures have been taken since the summer of 2011 (concerning the law on the Federal Requirement Plan for Transmission Networks, please see here) that remove barriers and accelerate grid expansion. In all other (energy-related) areas disappointingly little to nothing has happened. This is completely unacceptable for in industrialised country like Germany: The costs for subsidising renewables have more tripled since 2010 and are among the highest subsidies in Germany. "Imagine walking into your supermarket with a bag of zucchini"
So begins an article by Severin Borenstein on the challenges of integrating residential solar PV output in California's context - with lessons applicable to many other jurisdictions. ...real panic in the industry has set in this year as the net-of-subsidy cost of PV has dropped below even the average retail price. Even if increasing-block pricing were eliminated and the big IOUs sold all residential power for their average price of about $0.17/kWh, solar PV could beat that for many customers. According to a recent report from Lawrence Berkeley Lab (and confirmed by other industry studies and media reports), the full cost of a typical residential system has fallen below $6/watt and may be below $5/watt by now, which corresponds to $0.25-$0.30/kWh. The 30% federal tax credit and what’s left of the California Solar Initiative subsidies cuts that by about a third. A less well-known tax effect – accelerated depreciation for leased systems – transfers another 15%-20% of the cost from the end-user to the federal government. The net cost to the consumer can now be $0.15/kWh or less. This is why we are hearing more often the phrase “death spiral” from the utilities. If many customers act on the attractive economics of PV at home, the utility sells less energy and earns less above marginal cost to cover those costs of past sunk mistakes and ongoing fixed costs. To make up the revenue, they would have to raise rates, which makes the economics of PV even better. Tom Adams recommended an article from Power magazine on a topic that's been around for some time - concentrating on making the U.S. electrical grid resilient. Today Adams identifies a NY Times presentation of a video on the 2003 blackout, and lessons still being learned from the event; the PJM market is currently hosting a Grid 20/20: Focus on Resilience forum. Resiliency is a hot topic. To my mind, this is an entirely worthwhile and welcome development. I’ve long argued that the pursuit of a smart grid—an interactive system that allows utilities and (presumably) customers—to allow conversations between and among utility power providers and our homes is not a direction I want the industry to go. It raises security, privacy, and reliability concerns in my mind. Without getting into the weeds on these issues, my preference has been for a “strong” grid that provides greater assurance that power flows without interruptions. I don’t care if my toaster can talk to my utility to find the least-cost (or more profitable) way to brown my bread. I care if I can’t toast my whole-wheat bread in the morning because the system is down. Some recent articles on Germany compiled from an Ontario perspective - because of subsidies that pay renewable energy sources (RES) by output, there is a rather bizarre relationship that makes consumer pricing lower the less productive the RES is. Perhaps a structure where it's beneficial to have efficient technologies would be better. Germany’s incoming government is likely to steeply cut support for wind power and lower its target for offshore deployment – to the dismay of renewable energy groups. Environment minister Peter Altmaier, and Hannelore Kraft, the Social Democrats’ (SPD) representative in energy coalition talks, over the weekend unexpectedly announced an agreement on the rough outline of the still-to-be-formed new coalition government’s renewable policy. There's a number of issues here, some of which related directly to Ontario: limiting installations to "good locations" could be seen as partially a rejection of the idea of geographic smoothing - it seems more of a rejection of the idea that very week renewable resources make sense close to loads. A recent German Energy blog article showed the EEG deficit decreasing in recent months - good news for holding down the renewables surcharge/ bad news for production from renewables. Some recent articles of interest; the first treating an "environmental" movement as a religion, and the last providing a vision for a pending Apocalypse. This begins an interesting post at Climate Etc. - one where Australia's former PM John Howard tackles a religion he first describes. ...they may not have paid enough attention to communicating with Canadians. In their desire to stand together, they may have given legitimacy to zealots such as Paul Watson of the Sea Shepherd Conversation Society. But none of these factors is enough to account for a five percentage point drop in public trust. EU Commission on subsidies and capacity markets/Increasing grid utilization in U.S.
An important story out of Europe today, for the future of subsidies (structure), and capacity markets. From the U.S., a related blog entry: related as it talks about market arrangements to increase efficiency/grid utilization. The EU Commission has today released its Communication “Delivering the internal electricity market and making the most of public intervention”, together with a set of Staff Working Documents on important aspects of the Communication. The package shall give guidance to Member States on state interventions aimed at preventing market distortions and providing secure and affordable energy. The documents cover in particular generation adequacy, the design of renewables support schemes, the use of and model agreements for renewable energy cooperation mechanisms, and demand side flexibility mechanisms. ...Feed in tariffs should be replaced by feed in premiums or other support instruments which give incentives to producers to respond to market developments. I'll explain how that can be. Germany, Europe’s biggest power market, is poised to open its first new coal-fired plants in eight years, just as prices slump because of a glut of electricity. GDF Suez SA, Trianel GmbH and Steag GmbH will bring three new plants online by December, enough to supply more than 4.4 million homes. The nation is already producing so much electricity that exports will surpass last year’s record in 2013, according to the Fraunhofer Institute for Solar Energy Systems in Muenster, Germany. Power prices may slide 12 percent by 2016, according to UBS AG in Zurich. Chancellor Angela Merkel’s government says RWE AG (RWE)’s new power plant that can supply 3.4 million homes aids her plan to exit nuclear energy and switch to cleaner forms of generation. It’s fired with coal. What message will those that criticized the nuclear strike price take from this? "Centrica is preparing to abandon a £2bn offshore wind farm project because subsidies offered by the government are too low." Its probable abandonment of Race Bank would, however, be its third high-profile withdrawal from planned UK investments on the grounds that subsidies footed by consumers were too low. In February, it abandoned its 20pc stake in EDF’s planned Hinkley Point nuclear plant, writing off £231m, after complaining the returns were not attractive given the timescale and high cost. EDF last month agreed a subsidy deal for the project that analysts say could yield £1bn a year in pre-tax profits. In September, Centrica wrote off £240m for planned gas storage facilities, which it had argued should be subsidised to avoid price spikes when supplies ran low. "We ask you and your organization to demonstrate its real concern about risks from climate damage by calling for the development and deployment of advanced nuclear energy." Andrew Revkin has built a great Dot Earth post around a letter from prominent scientists (Kenneth Caldeira, Kerry Emanuel, James Hanen and Tom Wigley), "pressing the case for environmental groups to embrace the need for a new generation of nuclear power plants." Quantitative analyses show that the risks associated with the expanded use of nuclear energy are orders of magnitude smaller than the risks associated with fossil fuels. No energy system is without downsides. We ask only that energy system decisions be based on facts, and not on emotions and biases that do not apply to 21st century nuclear technology. While there will be no single technological silver bullet, the time has come for those who take the threat of global warming seriously to embrace the development and deployment of safer nuclear power systems as one among several technologies that will be essential to any credible effort to develop an energy system that does not rely on using the atmosphere as a waste dump.